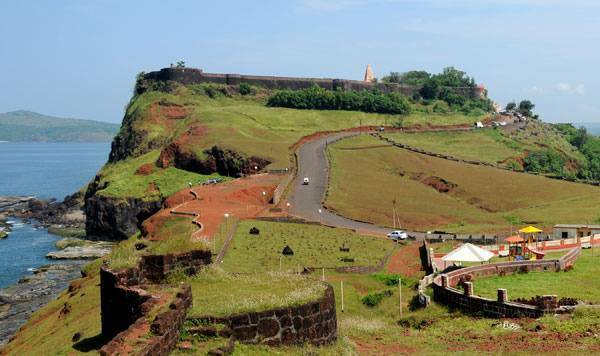 Ratnadurg Fort is encircled by the Arabian Sea from three sides. The dimensions of the horseshoe shaped fort are 1300 m length and 1000 m width. A lighthouse named as the Siddha lighthouse is situated at one of the bastions. A Hanuman temple is situated at the entrance gate. This fort was constructed during the rule of Bahamanee. Inside the premises of the fort, there is a Bhagawati temple, which is visited by a large number of devotees at Navaratri each year.